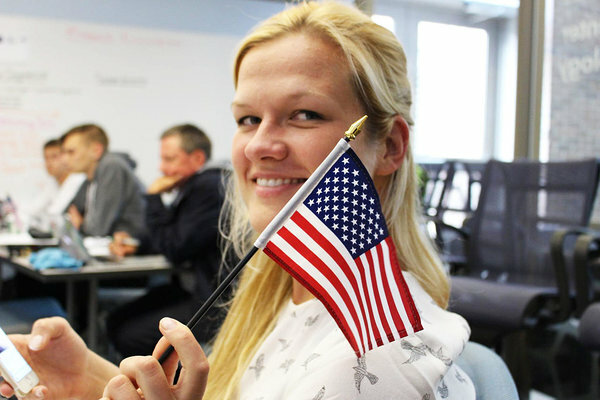 UT Idea Lab | Would you rather develop your STARTER idea on a boat cruise or in USA? Would you rather develop your STARTER idea on a boat cruise or in USA? STARTER is a business ideas development programme that consists of workshops, mentoring and a lot of pitching! But just to keep up your motivation we have thought about awesome awards and epic programmes you can join simultaneously with STARTER. Would you like to go to the USA or go on a boat cruise for 2 weeks? Read more to find out how you could have the time of your life if you play your cards right! Besides STARTER programme IdeaLab has 2 more interesting projects coming up for early-stage start-up teams! First, let's talk about E-Boat Accelerator. Two teams with healthcare idea can benefit from a 2-week Cruise Hackathon on the Baltic Sea and pitch in 5 locations (Gdansk, Klaipeda, Riga, Stockholm, and Tallinn). The team should consist of two people at least 1 IT specialist. In June international summer programme NGAL® takes place for the 5th time. 2 teams from the Univerity of Tartu can develop their idea together with students from the USA. Each year at least one STARTER team has been selected to NGAL® programme! The programme consists of an intense 12-day accelerator experience to take student teams to the launch of a minimum viable product. Teams will spend one week in Tartu and Tallinn and one week in Charleston, USA. The best team will get 3000 $! Two years ago STARTER team Cody won the main award! STARTER programme will begin with Idea Hackathon and end with Kaleidoskoop pitching competition. 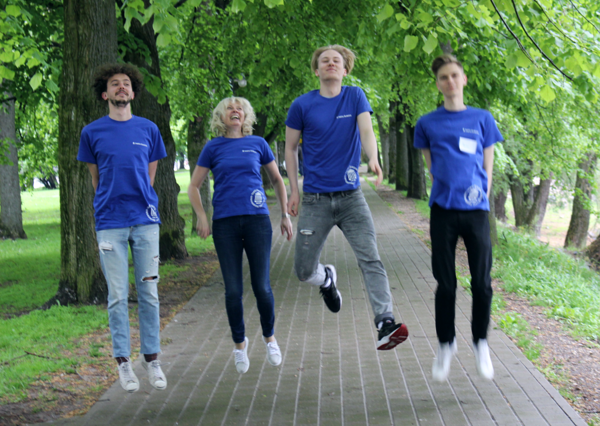 This semester the best team of Kaleidoskoop can go to Copenhagen to the University Startup World Cup to pitch their idea! And if your idea has the potential to make Tartu attractive Tartu City government monetary award can also be of great support. This was exactly what happened with NGO Kohalugu – they won the award and later received an additional 4000 €! All programmes are free for all the selected participants! But you need to get selected... Here are some tips on how to become a team that gets selected to the awesome projects or wins pitching competitions! Pitch, pitch, pitch! The more you practice the better you get. You need to know your pitch by heart and it takes a lot of practice! Join STARTER! The statistics show that teams that graduate a business development programme are way more successful in competitions than the teams that work on their own. Why? Because they got guidance from professionals and have received feedback from experts! This means the idea is more thought through and your application and pitch stand out! Don’t fall in love with your idea (too much)! You might get to a point where you need to change your idea but if you are too much in love with the idea you miss the opportunity and get stuck in a place where you can’t move forward. Have a good idea! Easy to say, right. But before you start putting in work hours for your idea make sure you know the competition (just google it) and think about where the money comes! 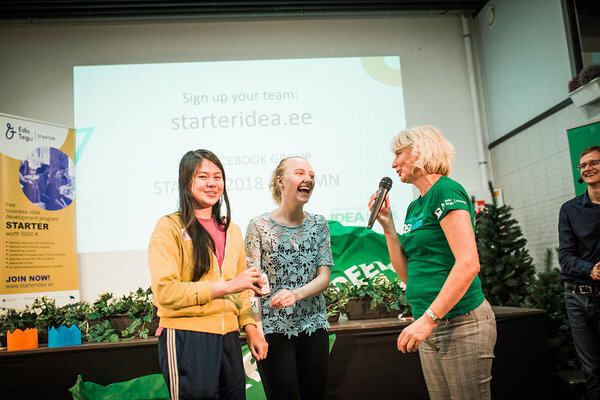 Attend STARTER programme Idea Hackathon on the 28th of February! Read more about E-Boat Accelerator. Read more about the NGAL® programme. STARTER programme is funded by the European Social Fund.